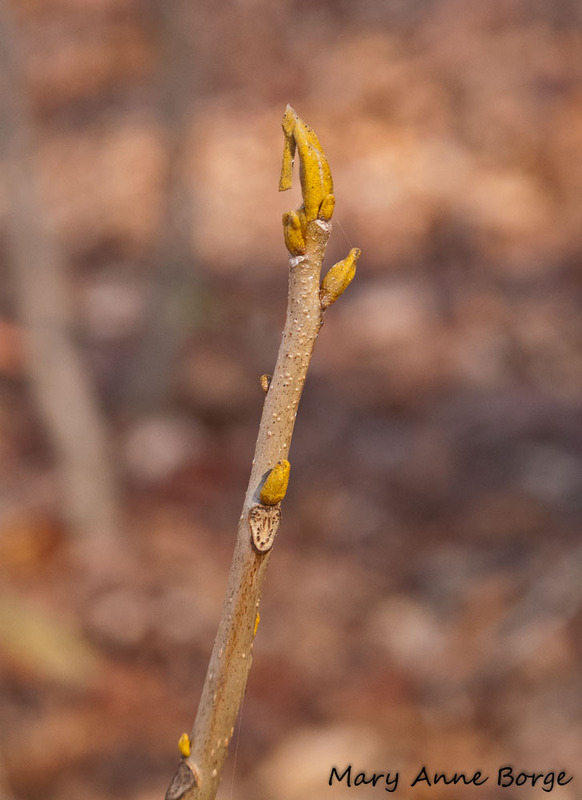 Have you been ready for spring since about January 2? Wondering how you’ll ever get through the remaining weeks of winter? 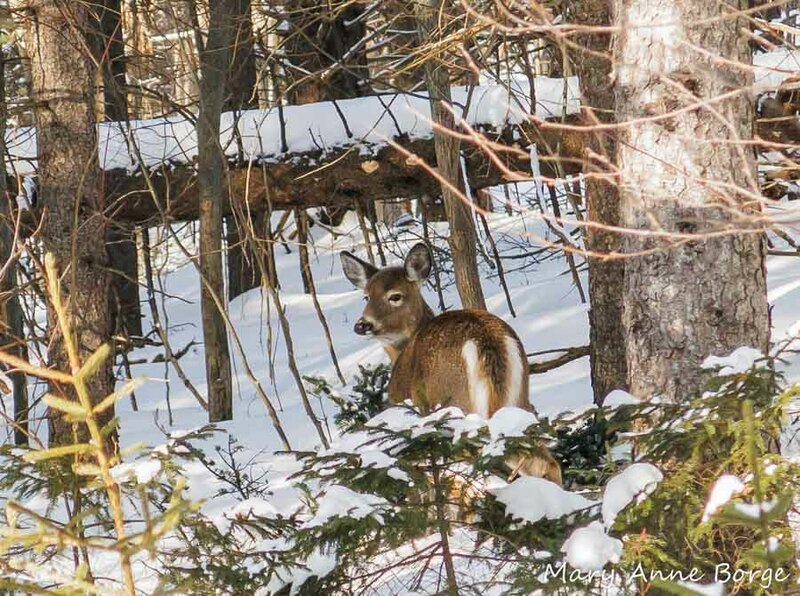 The best way I know is to get outside and enjoy what nature has to offer. 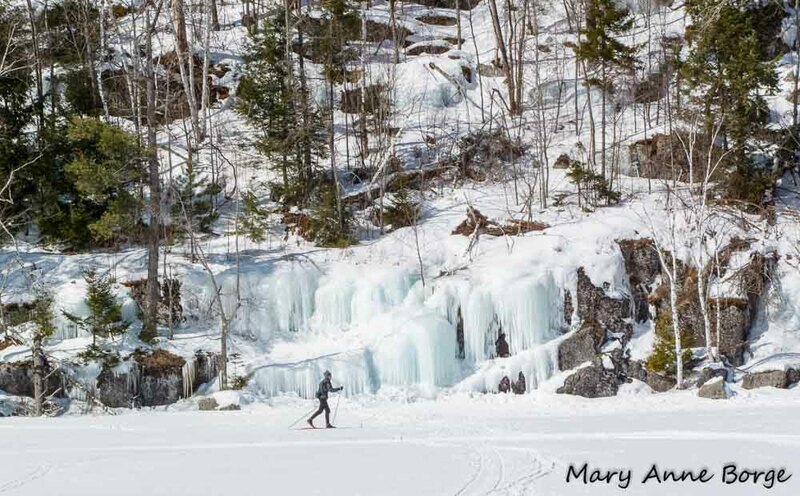 When there’s enough snow, cross country skiing or snowshoeing are both good ways to keep warm enough to enjoy exploring the beauty of your surroundings. Or go for a walk in a nearby park, natural area, or your own garden. 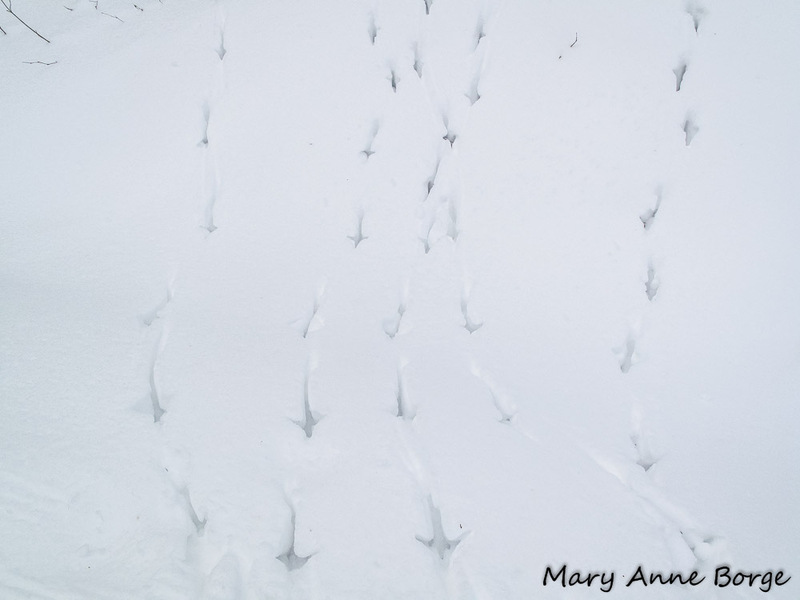 While you’re out you’ll almost certainly spot animal tracks. 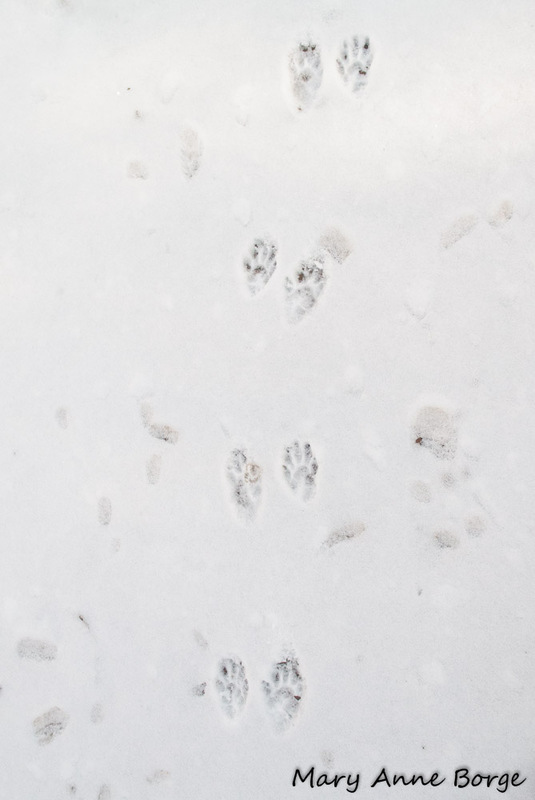 If you’re really lucky, you’ll spot the critter that made the tracks. 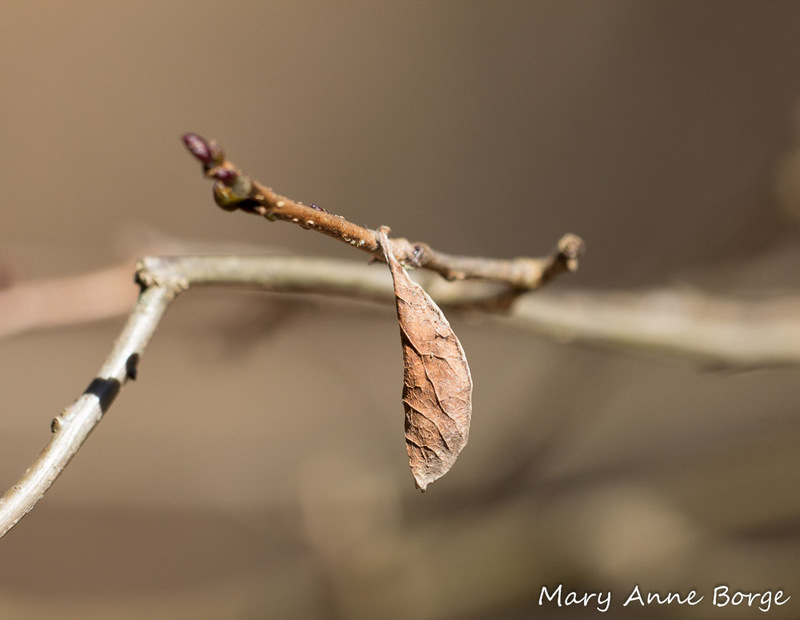 You may see evidence of insects or spiders attempting to survive the winter in one form or another. Mystery cocoon made from a leaf and silk. Could it be a moth? A spider? 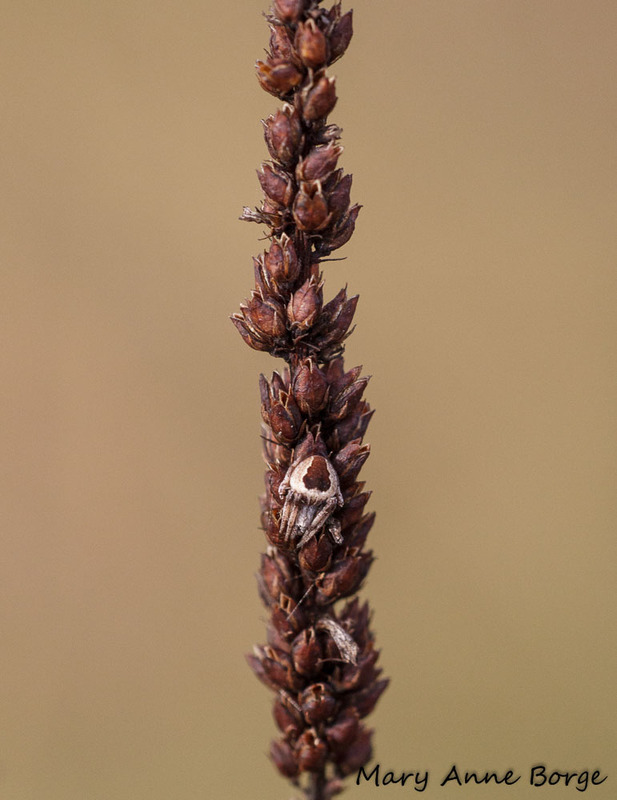 Or you may find evidence that some insects have instead become food for birds. 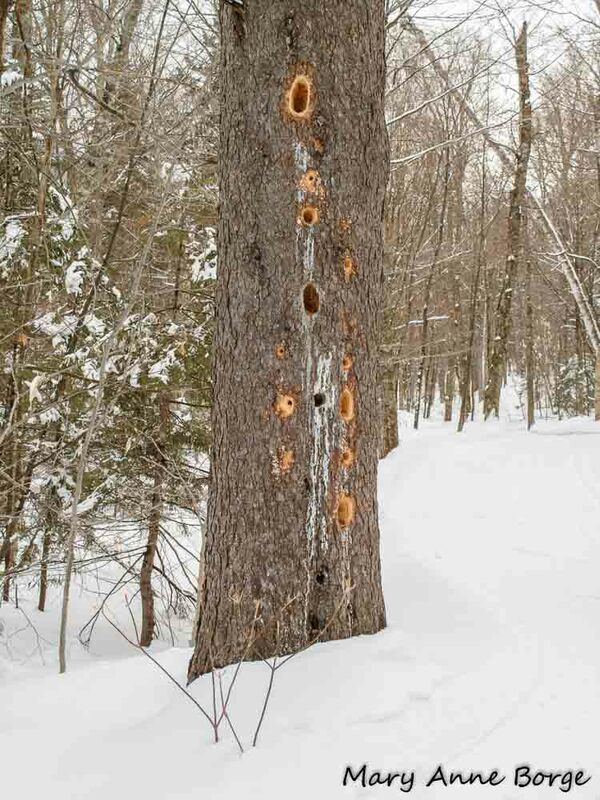 In the photo below, the holes in the tree were made by a Pileated Woodpecker, the result of excavating for a meal of carpenter ants or other insects. 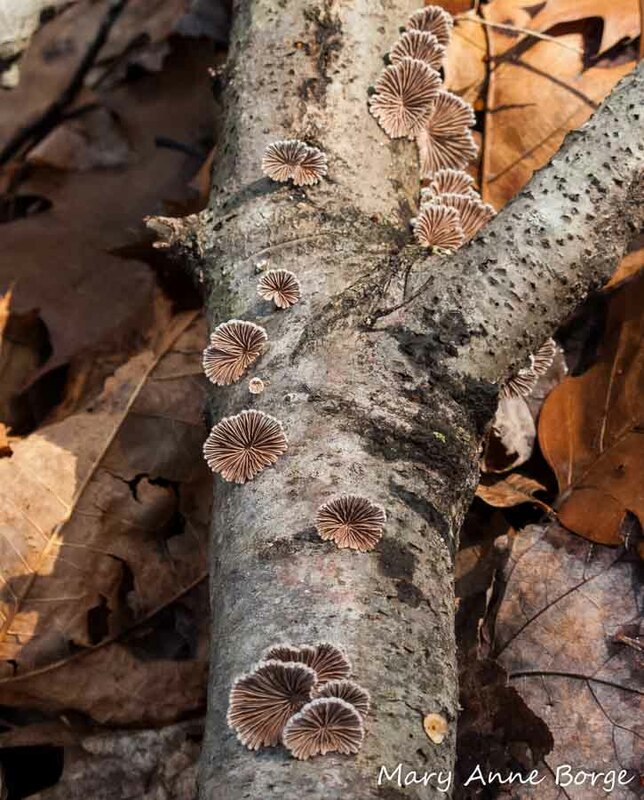 and mushrooms that decorate tree trunks and branches. 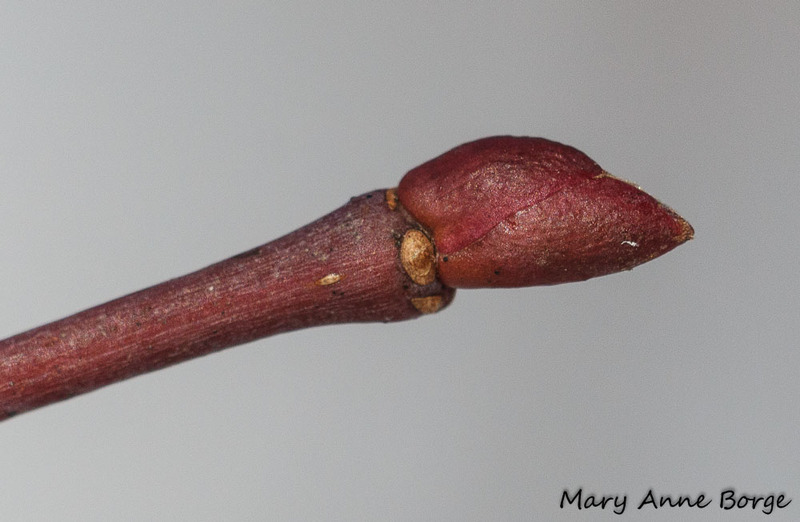 Winter buds are a promise of spring to come, showing subtle color and offering a way to identify trees in winter. 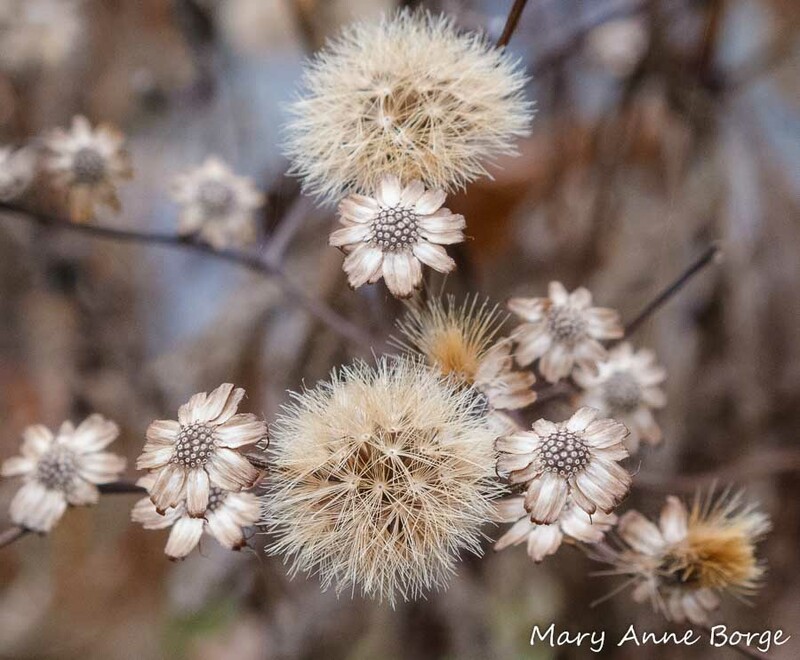 Winter fruits can be as beautiful as the flowers that produced them. 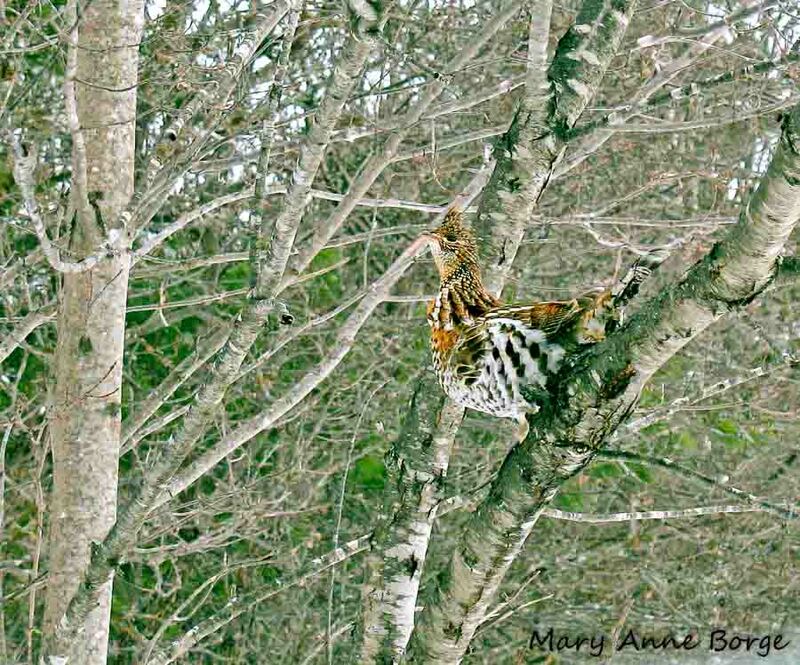 Birds, including some that you may only see in winter, eat some of the fruits. 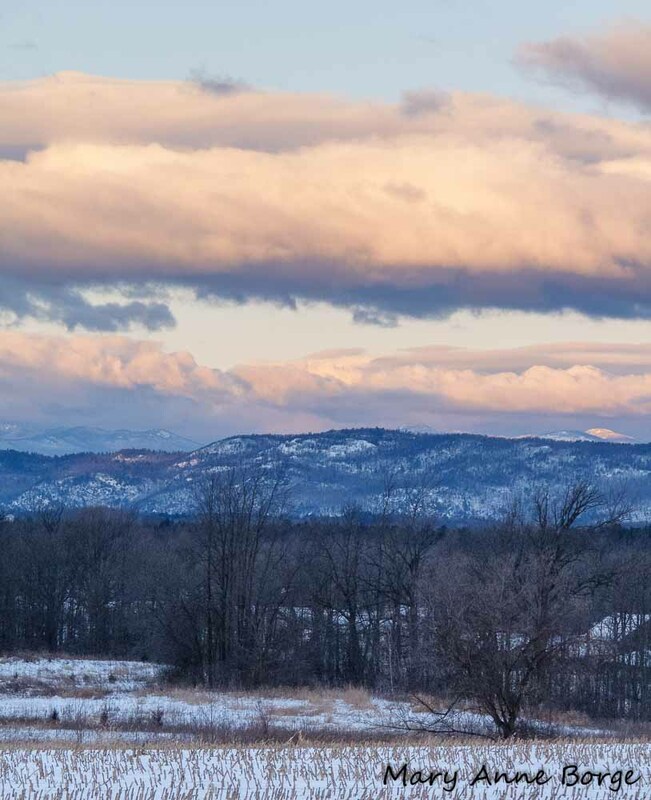 The low angle of winter light flatters the landscape. 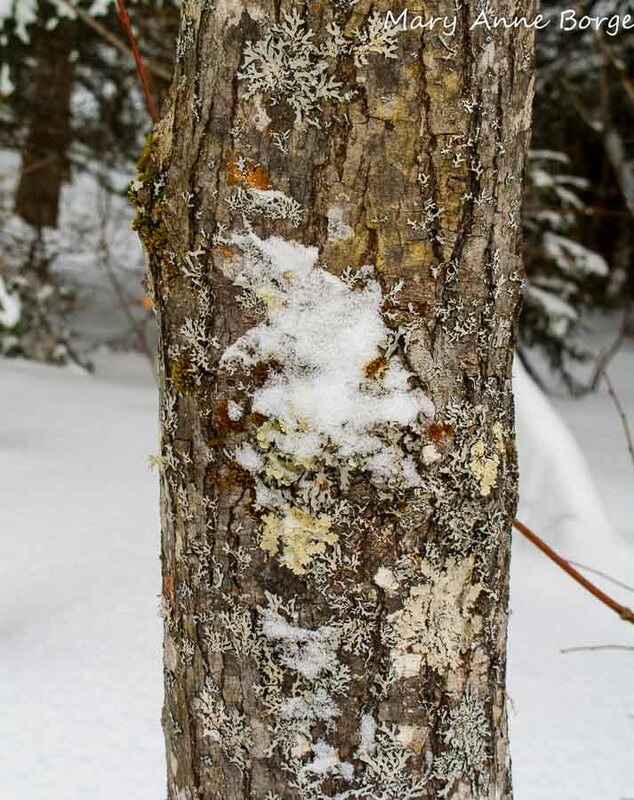 These are just a few of the reasons to love winter as much as the other seasons. Go out and explore while you can! 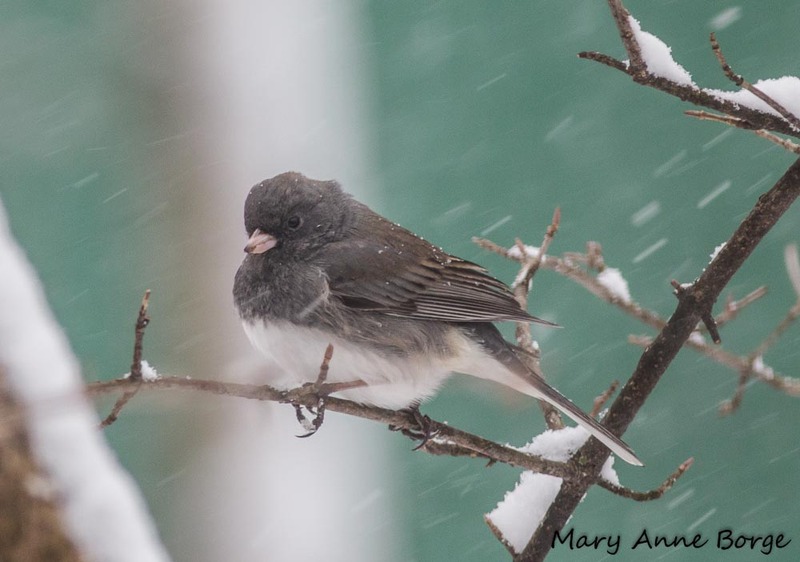 Backyard Birds, Snowstorm Number ?? 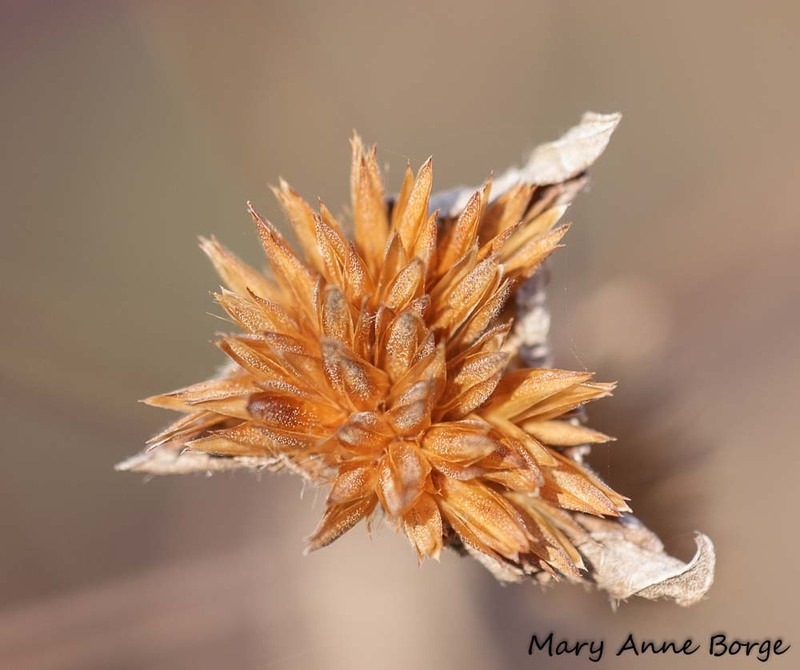 This entry was posted in Birds, Native Plants, Other Insects and Spiders, Photo Galleries and tagged Bowman’s Hill Wildflower Preserve, Garnet Hill Lodge, nature, Nature in Winter, Reasons to love winter, Trapp Family Lodge by Mary Anne Borge. Bookmark the permalink. What wonderful photos! 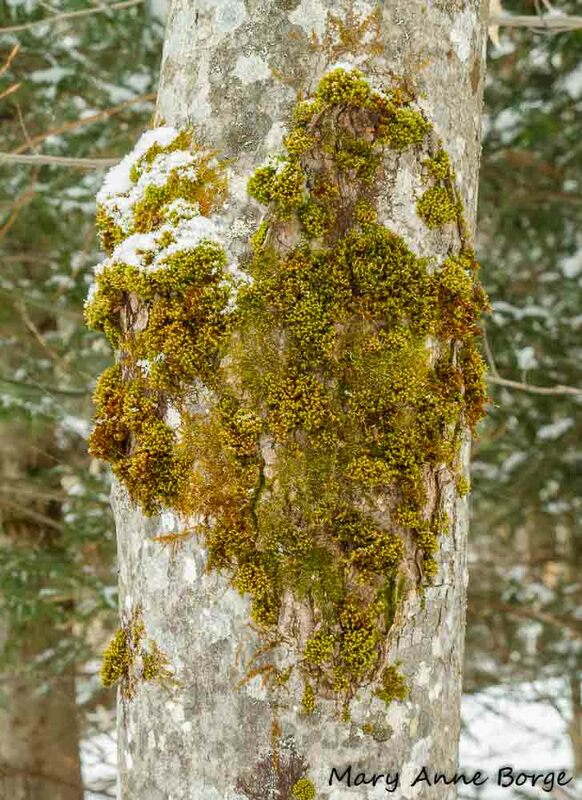 It amazes me how different the animals and plants of winter are in Vermont (and New York and Pennsylvania) than here in Kansas – I was actually quite surprised. We would have pheasant tracks, not grouse; coyote tracks more commonly than fox; and we share the raccoons. 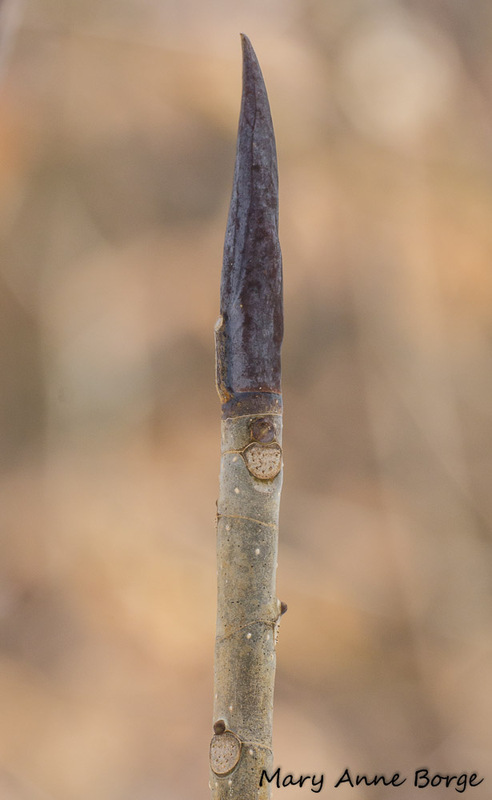 I see mantid and wheel bug egg cases when I go out, but I haven’t found a braconid wasp cocoon bundle like that one in any season! Thanks for sharing your finds. 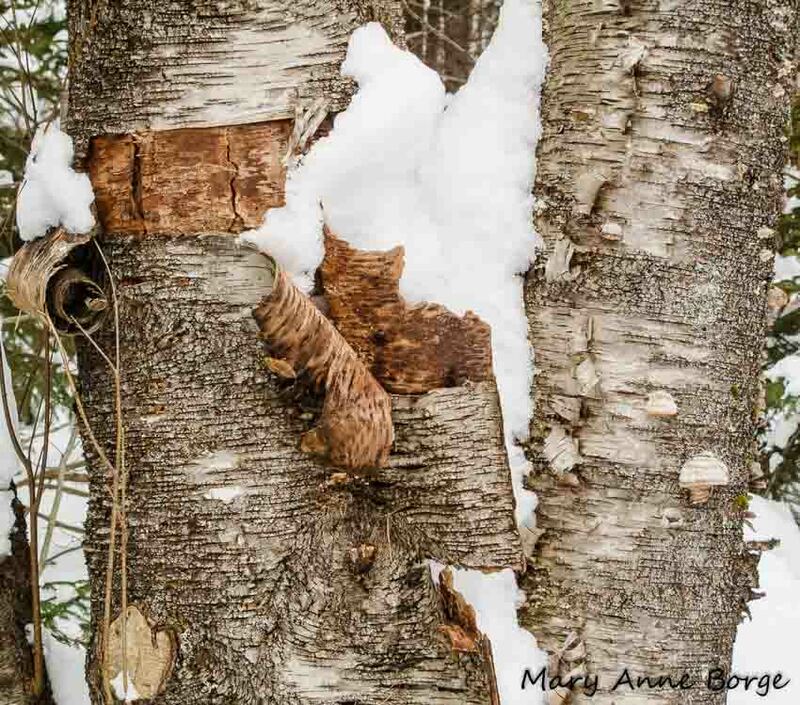 It inspires me to go see what similar sorts of photo opportunities I can locate in this quiet season. 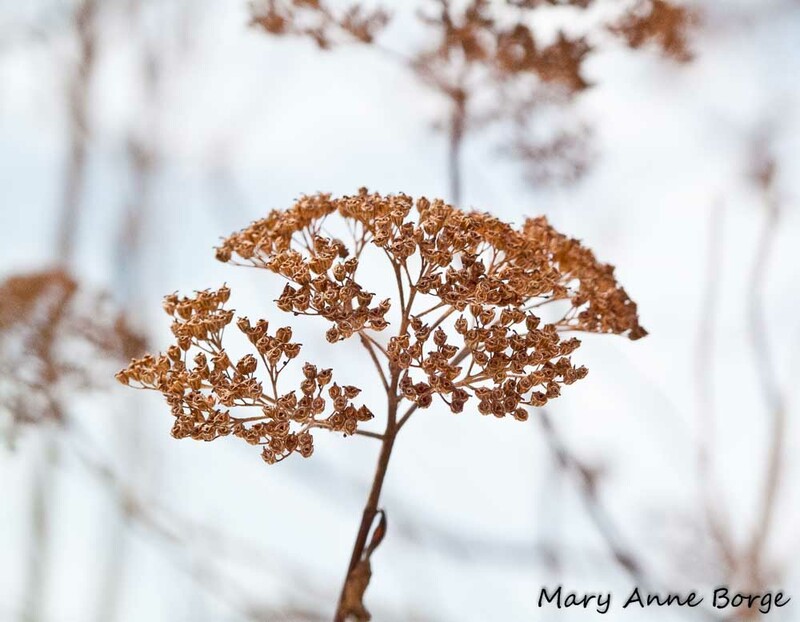 It was cross country skiing that got me outside long enough in winter to start noticing all of the beauty and interest of winter, although I always loved the light. There is so much to see! It’s interesting that you have more coyotes than fox. Coyotes are present here, but fox are mush more common. I live at the edge of a small town, and there’s a fox that passes by regularly. 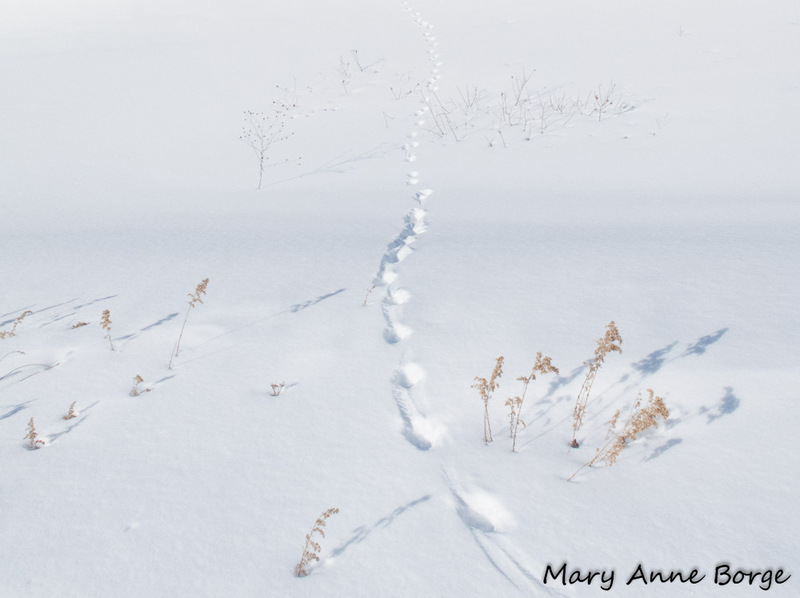 Last winter I spotted some tracks that might have been coyote at a preserve nearby, but I was never quite sure of the i.d. I’m glad you liked the photos. Let me know what interesting things you find! I will, Mary Anne. Although it may be a while, as I’ve had to make an expected trip to Florida and there isn’t much “winter” to share down here! I hope you’ll have time to enjoy some nature while you’re in Florida. 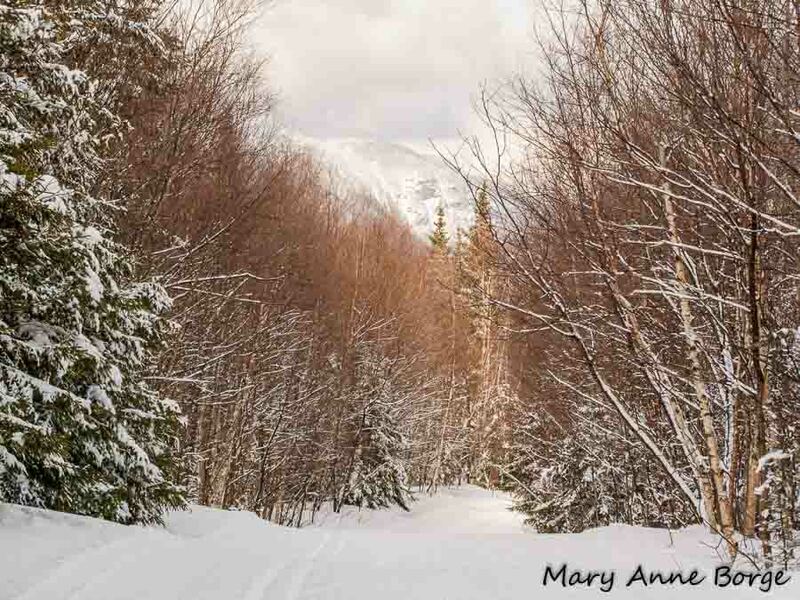 Thanks, Mary Anne, I’m sure I will! Such delicate colors & forms. Such delightful treasures found. So much beauty! You’ve certainly succeeded in tempting me out of doors as soon as possible! 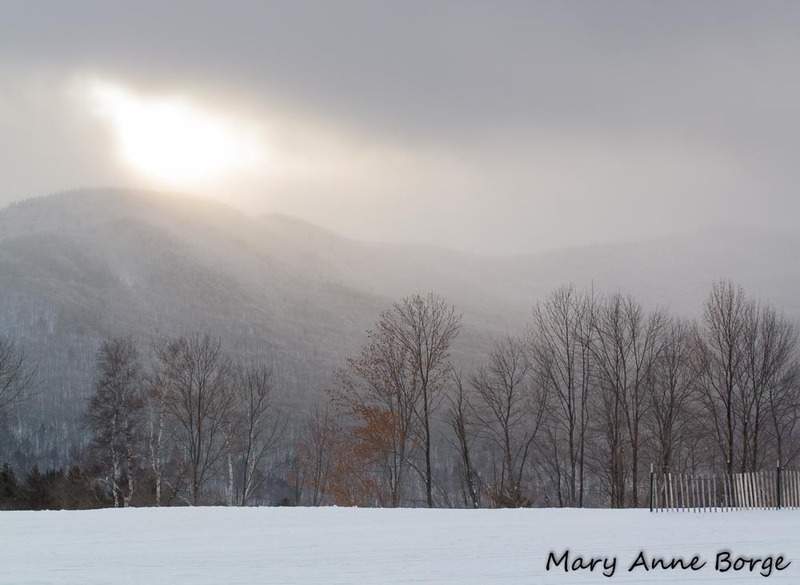 Thank you, Mary Anne! Such delicate colors & forms. So much beauty! You’ve certainly succeeded in tempting me out of doors as soon as possible! 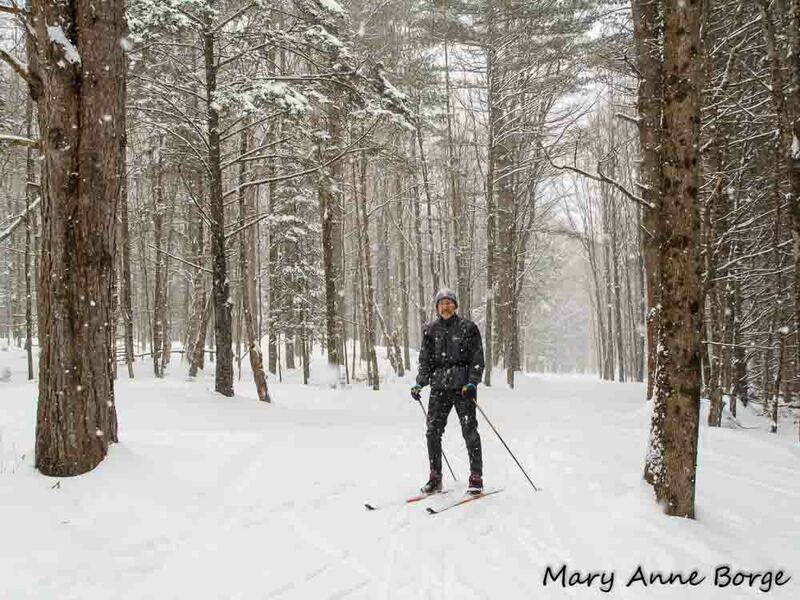 Thank you, Mary Anne! Thanks, Monica! I promise you won’t be disappointed if you go out and explore. 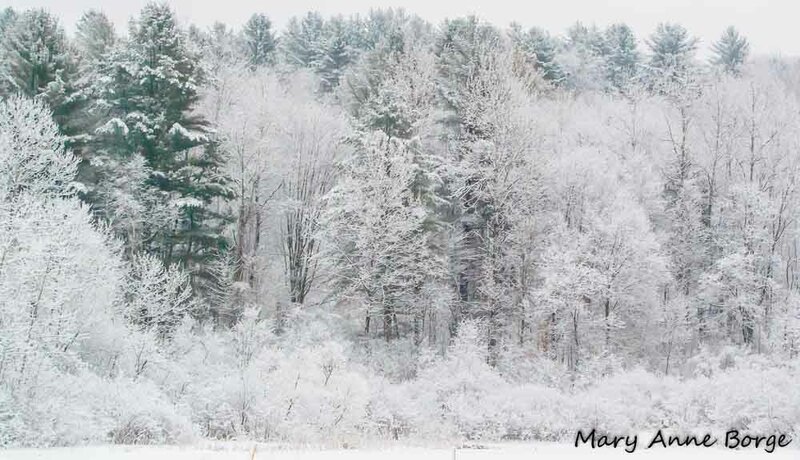 LOVE LOVE LOVE….thanks Mary Anne……miss you…. Thanks, Patti! See you at BHWP soon? I’m teaching some of the Knowing Native Plants classes.